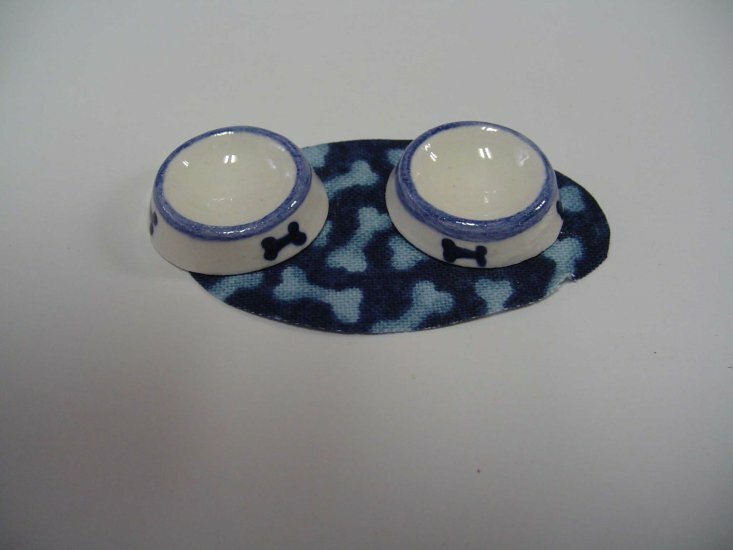 This super cute set of miniature dog dishes with oval mat in the blue bones theme are for your 1:12 scale dollhouse. The miniature dog bowls (2pc as shown) measure 0.80" in diameter and the mat measures about 2" wide. Date Added: 10/04/2018 by Natalie P.
These look so cute in my dollhouse kitchen. The mat is thin, but no matter as it stays flat for me. This Dog Dishes & Mat Set - Blue Bones is supplied by Handcrafted Miniatures By Barb, which generally ships within 1 business day(s) of you placing your order .